In 2010, the Centers for Medicare and Medicaid Services (CMS) simplified the coding of urodynamics by eliminating several Current Procedural Terminology (CPT) codes. One effect of this was a decrease in the reimbursement for urodynamics to physicians. In addition, CMS has also placed more emphasis on pairing the urodynamic CPT codes with an appropriate International Classification of Diseases-9th Revision Clinical Modification (ICD-9-CM) code. If coded correctly, urodynamic evaluation can still be reimbursed fairly. 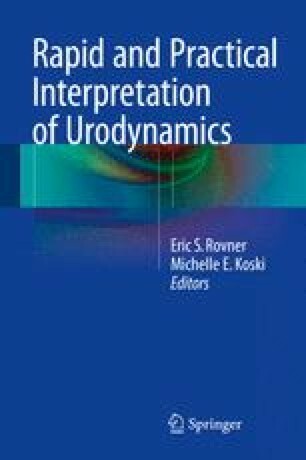 This chapter attempts to explain the reimbursement for urodynamics, basic coding terminology and provides a step-by-step explanation of how urodynamics should be properly coded. Pickett D. International classification of diseases. 10th ed. Clinical modification ICD-10-CM. www.cdc.gov. http://www.cdc.gov/nchs/icd/icd10cm.htm. Accessed 14 Nov 2013. Blum J, editor. Letter from director of center for medicare. http://www.cms.gov/Medicare/Medicare-Fee-for-Service-Payment/SustainableGRatesConFact/Downloads/SGR2013-Final-Signed.pdf. Accessed 21 Aug 2013. Urodynamics procedures. Cooper surgical. http://www.coopersurgical.com/Documents/Urodynamic%20Reimbursement%202011.pdf. Accessed 12 Aug 2013.